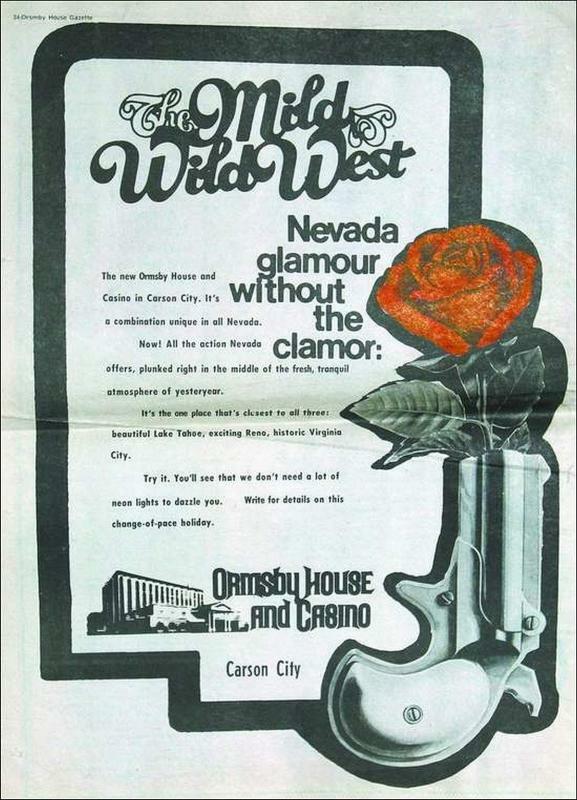 The new Ormsby House and Casino in Carson City. It's a combination unique in all Nevada. Now! All the action Nevada offers, plunked right in the middle of the fresh, tranquil atmosphere of yesteryear. It's the one place that's closest to all three: beautiful Lake Tahoe, exciting Reno, historic Virginia City. Try it. You'll see that we don't need a lot of neon lights to dazzle you. Write for details on this change-of-pace holiday.